Lemon pepper or lemon pepper seasoning is a seasoning made from granulated lemon zest and cracked black peppercorns. 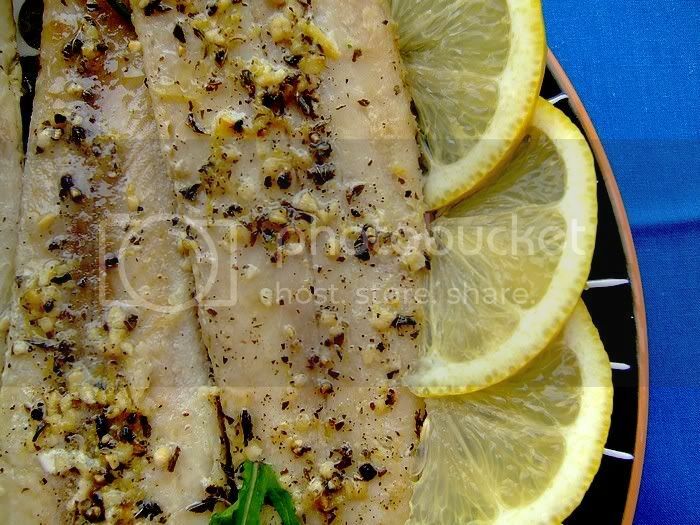 The lemon zest is mashed with the pepper to allow the citrus oil to infuse into the pepper. 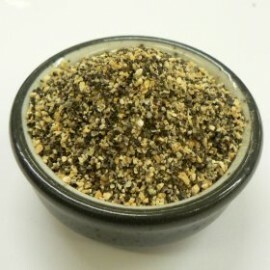 This mix is then baked and dried and can be used on meats like chicken & other grilled meats and pasta, although it was originally used primarily for fish.